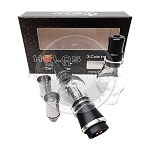 The Uwell Crown 2 Atomizer Coils are genuine replacement atomizers for use with the Crown 2 Sub Ohm Tank from Uwell. 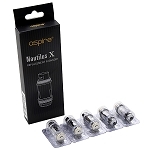 These coils come equipped with an innovative bullet shaped structure that features a conical shaped base to promote maximum conductivity while also improving the airflow passage passing from the exterior of the coil to the inner coil chamber, resulting in increased vapor and enhanced flavor. 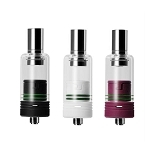 Uwell's Crown 2 atomizers can be purchased in three different styles, each features a parallel coil structure that is constructed from either a premium kanthal wire for use with variable wattage output or SUS316 stainless steel that can be used with either variable wattage or temperature control devices. 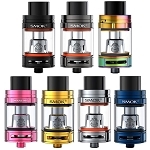 Each style of coil is wicked with an organic Japanese cotton for an unmatched quality of flavor and they each come equipped with enlarged wicking ports to ensure your Crown 2 Tank is soaked and ready to go at all times, even during those much needed chain vape sessions.